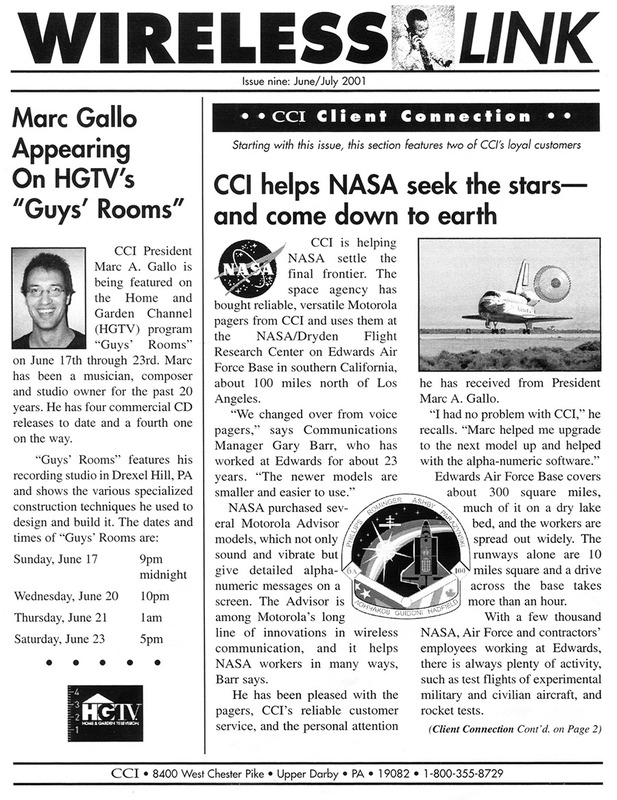 Marc A. Gallo Communications Consultant, trading as CCI, began as a humble one-man operation located in the living room of my home in Drexel Hill, PA. I specialized in wireless communications that included pagers, cellular telephones and two-way radios. The business represented FirstPage, a paging company, Comcast Metrophone, a cellular telephone company and Motorola, a two-way radio manufacturer in the greater Delaware Valley area. After incorporating in 1993, CCI expanded to a retail location on West Chester Pike in Upper Darby, PA with several employees. We became an award-winning dealership for Nextel Communications who offered an integrated solution to businesses, combining paging, telephony and two-way radio communications into a convenient handheld phone. 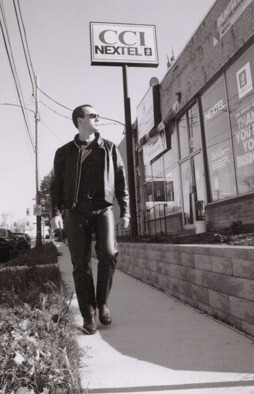 With continued growth, CCI added a telemarketing office a few blocks up from their store at 8600 West Chester Pike. Here our sales team marketed directly to businesses utilizing targeted databases to maximize growth. By 2001, we had grown to over $1 million in sales annually and employed 15 people responsible for accounting, administration and sales. We were proud to have worked with distinguished accounts like NASA, Penske Racing, Philadelphia School District and many others. Great Egg Studio and provided to companies throughout the US. 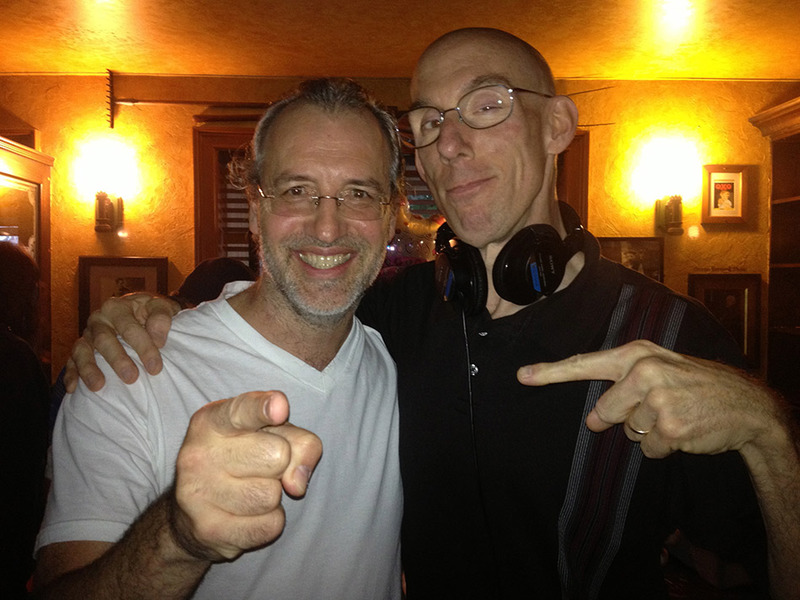 MTG has a distinguished group of voice talent. Featuring Andre Gardner, Eileen Brady, Bryan Ramona and Audrey Bentham, companies turn to us to sound their best in all their marketing and communications. In addition, they have access to our music library, which offers a variety of genres to creatively enhance their projects. We’ve been honored to produce work for Harley-Davidson dealerships, Mealey’s Furniture, OnTrac and many others. Recently, we were profiled in Forbes for our expertise in niche marketing. Mind The Gap, a subsidiary of CCI, originally traded as Marketing On Hold. This business offers professional voice talent and music production services for licensed use on video, PA and telephone systems as well as websites. 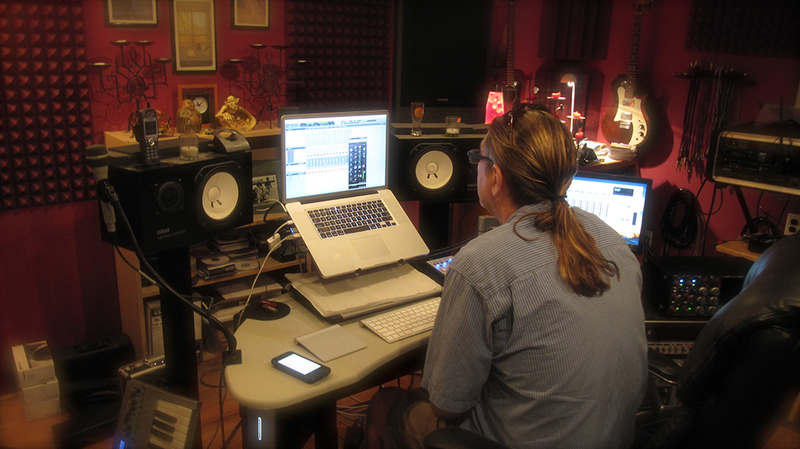 Productions are recorded and mixed at Great Egg Studio and provided to companies throughout the US. 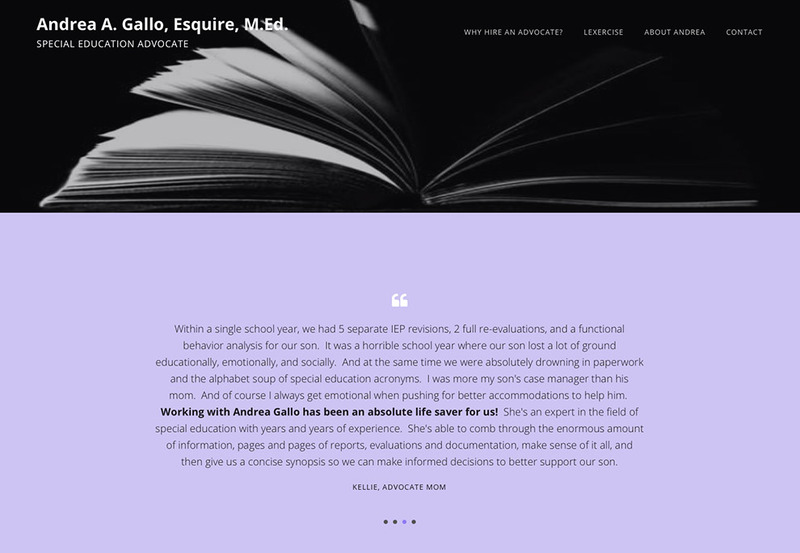 Mind The Gap’s subsidiary, Andrea A. Gallo Special Education Advocate, provides consultation and support to families with children who have IEPs, Independent Education Plans, and 504s in the public school system. Andrea is highly qualified with numerous degrees from George Washington University (B.S. Political Science), Widener University (JD), and Beaver University (M. Ed). She also has years of experience working with school districts throughout southeastern Pennsylvania assisting families in advocating for their children with special needs.